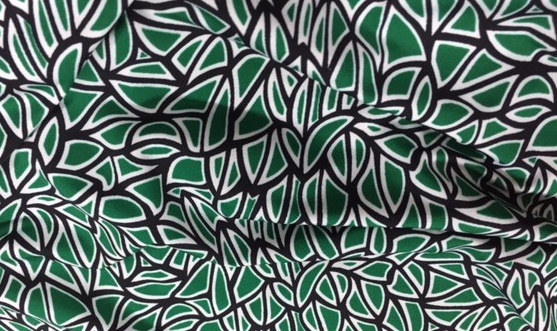 60″ wide 95% Polyester 5% Lyra ITY knit -beautiful rich colors of green, white and black. Great for fashion sewing. Would make up in a easy dress, tunic top, drape jacket.